Imagine you own a shopping mall. As the owner, you wish to have as many interesting shops as you possibly can. The better the shopping experience, the more likely people are to go to your mall. So, you need plenty of awesome shops and interesting experiences. Shopping mall owners want famous landmark tenants that drive traffic to the mall because they are special. Let's call them the Apple, Prada and Chanel's of the world. So what can you learn from owning a Mall? What can we learn from Shopping Malls? Westfield, a proud Australian, is the king of the castle in the global shopping centre world. Westfield invests millions making sure their malls are the entertainment hub of a city. Interesting shopfronts, lots to do with engaging events. Variety, quirkiness, as well as providing something for everyone. 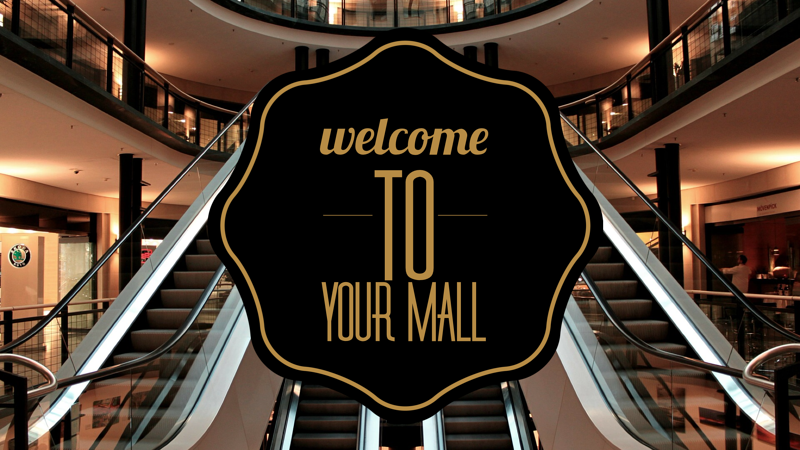 So consider your website in the same way as a shopping mall. Just swap in the pages as the shops. Is your website an interesting place to go? Are you providing a memorable experience? Are you the latest Westfield super mall or a shabby rundown disrepair strip, covered in For Lease signs? Nothing is more frustrating that going to the shopping centre, only to return empty-handed, unable to find what you were looking for. Do your customers get what they want when they come to your website pages? The internet has been around for 20 years now. Is your web shopfront showing its age? More and more so, everyday shopping is becoming a combination of bricks, mortar and clicks. For many, your website is a competitor to the shopping mall. So how do you renovate your shopping mall? We ask some hard questions for you to consider the state of your website. Are you spending four hours a day on your website? Are your customers leaving your site empty handed? When was the last time you added seven pages in a week? Are you proud of your website or making excuses? Does your website have annoying barriers making it hard to add to it? If you are honestly a bit concerned about your answers, then it's time to change to the next generation of automated marketing weapons and take your shopping mall to exclusive levels. This is where HubSpot can completely change your online digital life. Imagine bulldozing down all the old, collapsing houses, and replacing it with a brand new mall. Visits and sales soar. Customers are delighted. This is what can happen when you get the automated marketing software working for your business. HubSpot is a cloud-based automated marketing software platform that allows you to create shop after shop after shop in your virtual shopping centre. It removes the barriers and gets your website working for you and your customers. With a new site, shops (pages) get better; people become more interested with your business and deals get done. The investment pays off, your business grows, you get competitive and you future-proof your business for the years to come. Isn't it about time you went shopping for a new website? Speak to The Kingdom today about HubSpot. Come along to one of our seminars or just drop in for a chat. Our qualified team of digital marketing experts are delighted to help. Learn more about our team here.